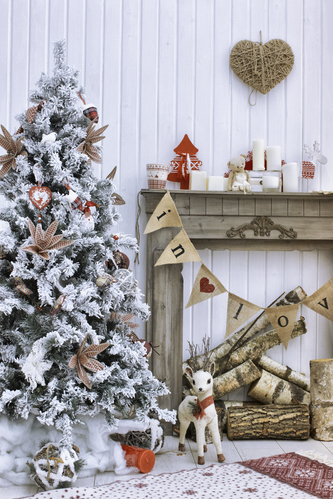 You don’t have to break the bank to make your home look bright and festive this winter. Now, Crate & Barrel is offering 20% off their holiday collection. So even though Black Friday is over, you’ll still find gorgeous home decor at a Black Friday price! From tree skirts and stockings to ribbon and gift wrap, Crate & Barrel has everything you need to prepare for the holidays. Deck the halls with their holiday ornament collection, also 20% off! If you want to treat your friends and family to something sweet this year, Crate & Barrel also carries boxes of sea salt caramels, cappuccino cookies, and other festive candies that make great gifts! Save On Holiday Home Decor at Your Local Crate & Barrel! Black Friday isn’t the only day you can find amazing deals on gorgeous furniture and home decor. Stop by your neighborhood Crate & Barrel today to browse their holiday collection!